The 30th Olympic Summer Games commence today in London, with the opening ceremony a little over eight hours away at the time of writing, and some events (e.g. football) already underway. 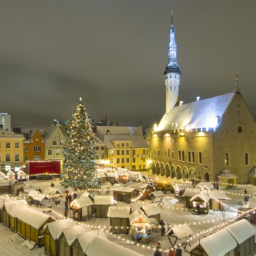 There are several Estonian athletes taking part, and we at Tallinn Property will be supporting all of them. Most noteworthy is discus thrower Gert Kanter, who won the Gold medal at the Beijing Olympics four years ago. Others include fencer Nikolai Novosjolov and Judoka Martin Padar.